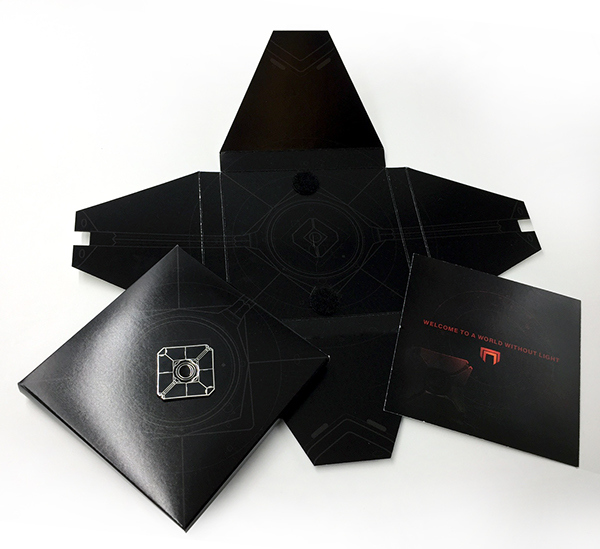 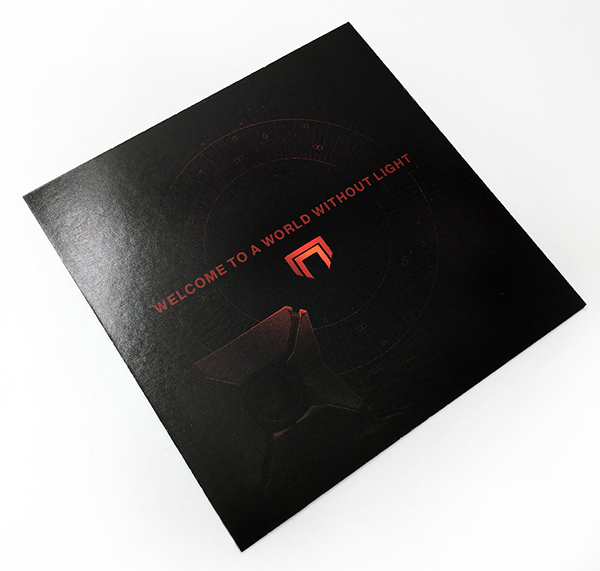 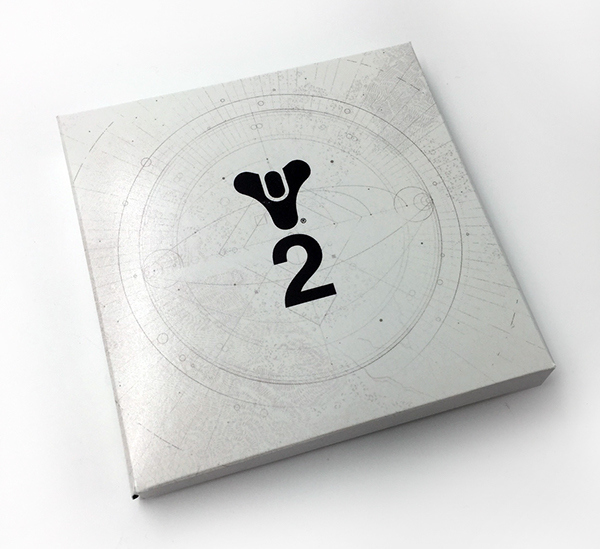 To make the Gameplay Premiere event (also nicknamed the "DRE" for Destiny Reveal Event) especially memorable for those invited, a special invitation kit was sent out to select members of the video gaming community. 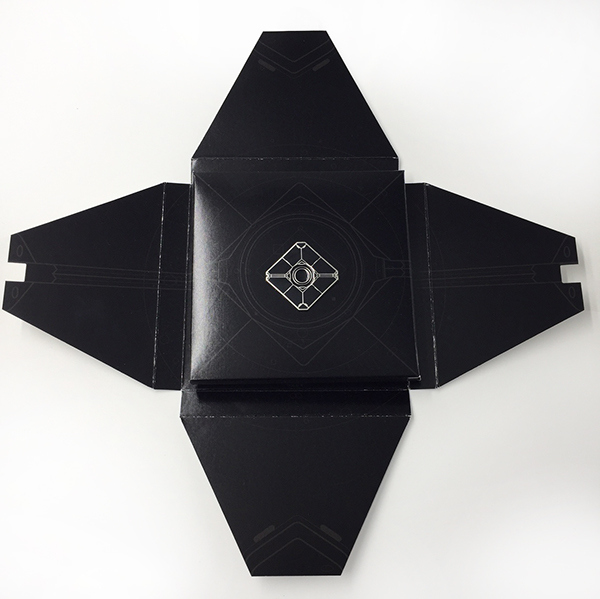 Design and pin concept and execution created in Adobe Illustrator and Adobe Photoshop. 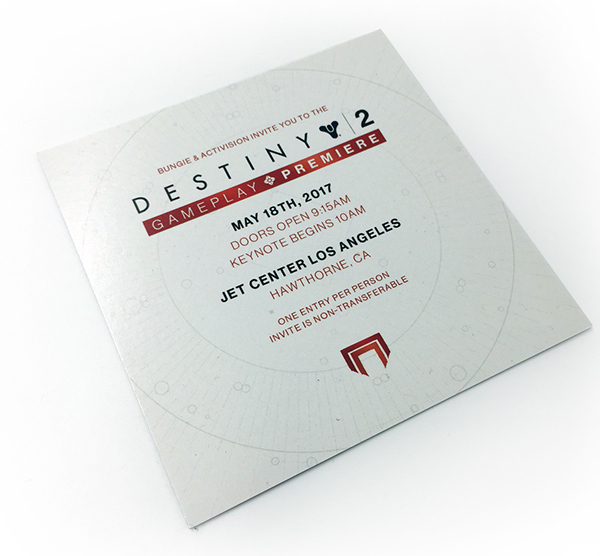 Above: a double-sided insert with the official event information printed clearly for easy removal. 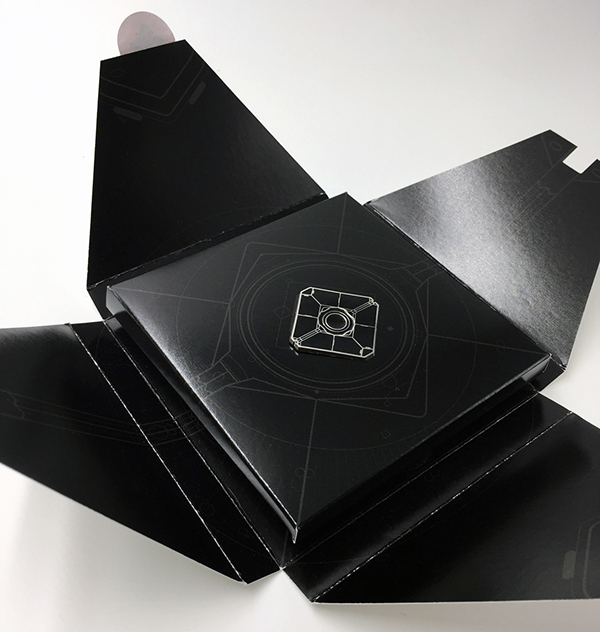 Container designed to fold out and appear as a dark ghost silhouette, with an extremely limited black ghost pin as the center.